– At the 2-year mark, TWP was holding up well against UV graying. This was one of the top deck stains tested as far as reflecting UV radiation that typically creates wood fading and discoloring issues. TWP 1500 retained about 80% of its initial color at 1 year and 70% at 2 years. – TWP 1500 displayed zero signs of peeling and only a slight amount of wear. TWP is not film forming. The stain dives deep into the wood fibers, which reduces any chance or wearing or peeling on the wood surface. 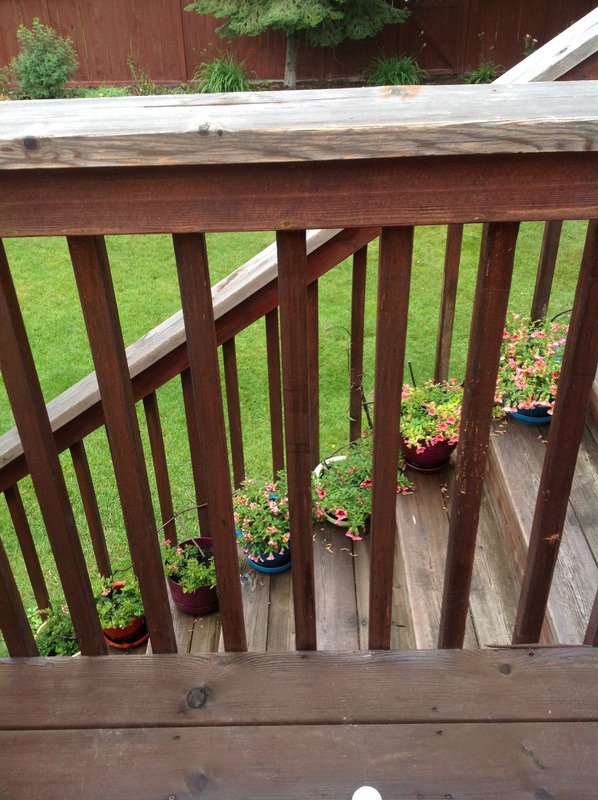 – TWP 1500 Wood and Deck Stain cost us $39 per gallon. We applied 2 coats “wet on wet” to our 400 square foot test deck. Coverage for the TWP 1500 was 125 square feet per gallon for 2 coats applied wet on wet. The cost broke down per square foot was .35 cents. 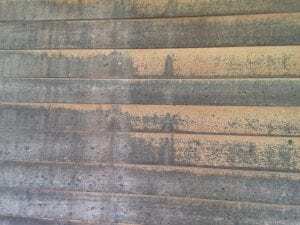 – In our testing of oil based deck stains, TWP 1500 offered one of the best resistances to mold spores and fungal growth, which some oil-based stains are known to attract. This was most likely due to the EPA registered mildewcides in the TWP formula. Also contributing to the lack of spores is the use of synthetic and natural oils and a limited amount of linseed oil, which has been known to promote mildew growth. – TWP 1500 Wood and Deck Stain applied fairly well for an oil-based formula. It was necessary to back brush or wipe excess stain to get a nice even finish. TWP 1500 Series Stain dried within 6 hours and we were able to place items back on the deck. –At the 2-year inspection, no noticeable darkening was apparent like we have seen with other oil stains. The 1501 Cedartone color essentially lightened up a bit giving a more natural appearance. – We are confident that the TWP 1500 Wood Stain would be easy to recoat. 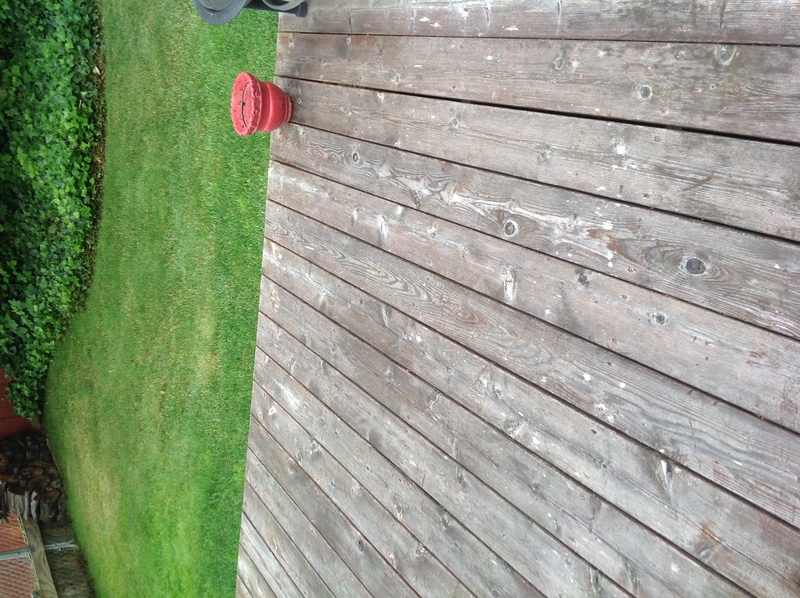 A quality deck cleaner could be used to remove common dirt and grime prior to re-staining with TWP 1500 again. 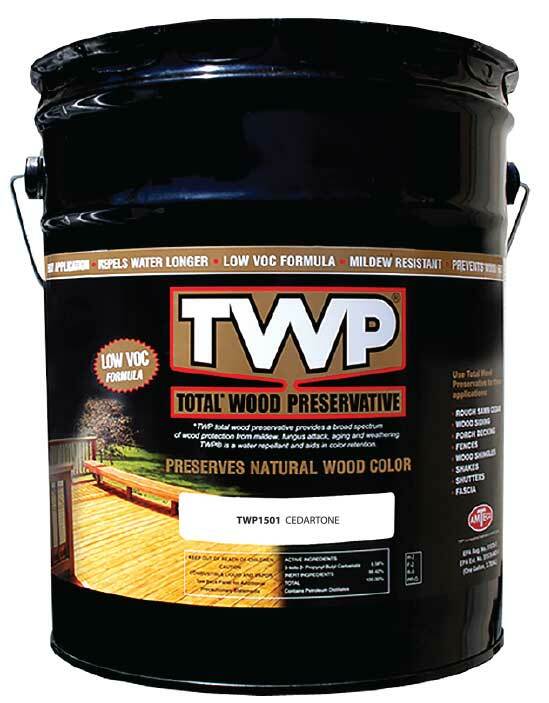 – The TWP products like 1500 and 100 Series Stains are known to produce a durable long lasting finish. They have always been a favorite of ours and are consistently one of our top choice stains. 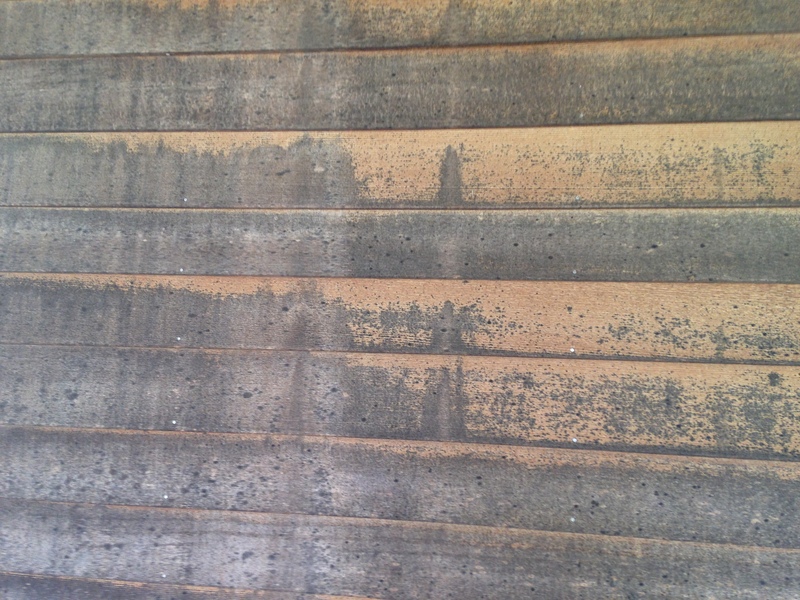 We personally use the TWP stains on 300+ deck restorations annually. Ease of application, a beautiful finish, and easy recoating makes TWP 1500 an outstanding professional grade stain for all exterior wood projects. *All products tested and results are from our experience. We offer no guarantee of similar results. Take inconsideration that results may differ due to different wood types, exposure to UV radiation, and natural weathering. 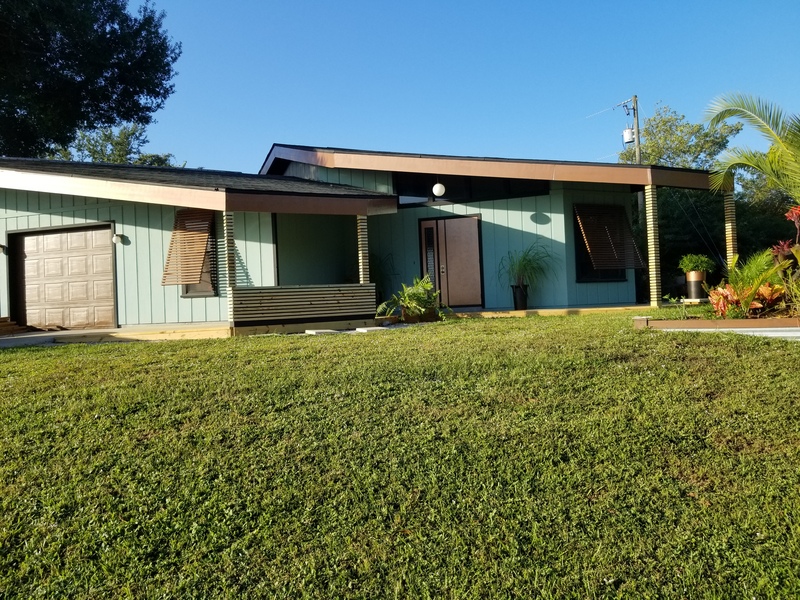 I have a two year old deck and purgola that were sealed last year with “THOMPSONS WATERSEAL TH.042851-16 Semi-Transparent Waterproofing Stain Woodland Cedar”. Initially they looked good but the Wisconsin weather was hard on the stain after just one winter and are in bad need of reapplication and based on the Thompson’s poor results, looking for a better product for much better results. What would be your recommendations? Either TWP 1500 or TWP 100? Do I need to remove ALL previous stain with power wash/sanding or will the TWP brighter do an acceptable job before applying new stain? Would I expect to reapply annually with TWP or would I get several years before needed to reapply? TWP 1500 would work well. All of the current stain will need to be sanded off. We are in New England with a 1 year old Garapa deck. 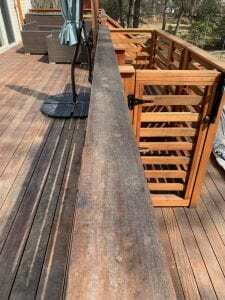 The deck was stained mid-summer last year after it was built with another product (Penofin Hardwood) that after only a few weeks started showing black discolorations which we are told are due to mold. We want to switch to using TWP 1500 this year with a power wash and sand first to remove the old stain, but the instructions on TWP 1500 mention a 4-12 month weathering period. Since this deck was stained soon after being built do we need to strip the old stain first and then let it weather or just apply the TWP immediately? Strip and brighten for prep and you will be good to stain. We live in NW Georgia. We have a very large deck around an above ground pool. Deck is 3 years old and had Thompson’s water seal applied 2 years ago. What is best option for poolside deck. . .holding up to lots of water 3-4 months out of the year? (Small children in/out of the pool). Hi, We installed a pressure treated pine deck about 4 years ago. After about 6 months, and making sure the wood was dry, we stained it with another brand. It was beautiful for about 6 months. The next year I stained the flooring again but it is not holding up. Do I need to completely strip the wood to use TWP 1500 Semi-transparent stain? 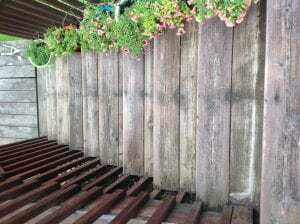 I also have two other areas of decking/dock that are one to two years old, bare wood. What do I need to do to prepare all of my decking? 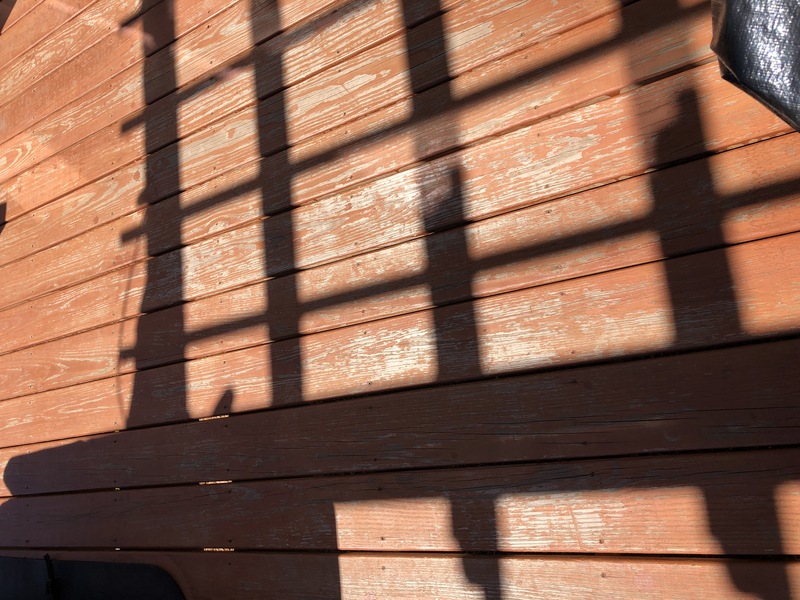 Yes, you have to remove the current coatings when switching brands of deck stain. Clean and brighten the non-stained areas. You would have to check with TWP. Built a new 12′ x 34′ deck around my place at the lake in August 2018 using pressure treated pine. I plan to stain the deck in next month (April 2019). With the deck being new it is not very dirty or discolored. I plan to pressure wash the deck prior to applying the stain but was wonder if more prep will be necessary. The location is in NE Tennessee. The sun tracks from one end of the deck to the other. The sun hits the deck mostly all the time. There is plenty of space under and around the deck so I am not concerned about lack of air flow. I am looking for a stain that is fairly easy to apply, that will penetrate and last a good while. I would appreciate any advice. Thank you in advance. Any suggestions regarding which brand of stain other than the ones listed in the link above? Oil or water base? Thanks for the reply. Any suggestions for stains other than what is listed in the link above? Should I go with oil or water base? TWP 100 or 1500 Series will work very well. They are oil based. Had a new redwood arbor installed last year. Corner support post gets hit by the lawn sprinklers all the time. Live in the San Francisco bay area. Can TWP be used on arbors? Guessing Calif. Redwood color is best match to the natural color of the wood? Yes, the TWP 1500 would work very well for this. Any color you like will work. Make sure to clean and brighten the wood for the prep. After doing some more research, I realized this is a oil based stain. I would prefer to use a water based stain for the redwood for ease of clean up. Is there any stain you recommend for redwood. I might also add a horizontal fence using mahogany. Would the same stain work for it? 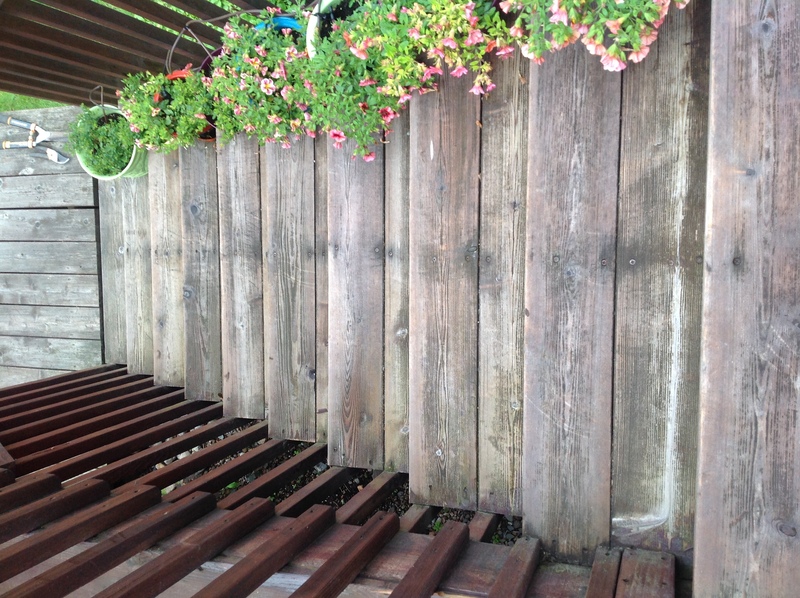 Use Restore A Deck Wood stain for both wood types. We live 3 miles off the Gulf in southern Florida. One month ago we installed a pressure and kiln dried pine deck using 2×6 boards and just this week we finished a planter box and slat wrapped posts. We are now officially out of the rainy season but high humidity is almost always a factor. Our UV is rarely under an 8 so sun bleaching is a concern as is mold and mildew growth in shady areas. 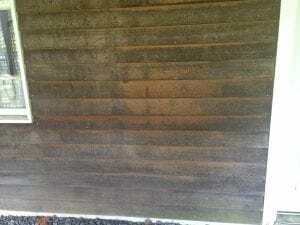 With that said, how long should we wait before sanding and prepping and what stain do you recommend that will give us our best shot at achieving a medium cedar tone (similar to the color of our window rainscreens), color retention and mold and mildew prevention? Are clear coats ever recommended? Also, we will soon be refacing the entrance of our house (location gets minimal exposure) with cedar cladding. What do you recommend we use there considering we would like to achieve a close color match and when should it be applied? Try the TWP 1501 Cedartone color. Clean and brighten the wood for prep. Just one coat of the TWP. You can use the same for the cedar cladding. Live in Colorado. Deck gets full sun in morning that fades to partial and then none. Deck is 3 years old. 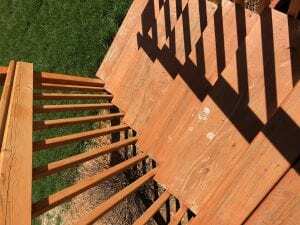 Given the altitude, cold and lack of humidity in the Denver area, what is the best stain for deck? I have a large 700 Sq Ft deck and worked many hours to prep for staining. I thought I did my home work and deceided to use TWP 1500 stain. After 3 coats the deck looked great. I completed this in Sept 2017, after a normal winter and spring in northern Illinois. I cleaned the winter dirt from the deck with soap and water and the half of the deck exposed to the sun had faded and looked like years of wear and tear, the other half was as nice a when I stained it. I was not real happy! Emailed TWP with my story and never got a responce of any kind. You cannot apply 3 coats of TWP to a deck. TWP is penetrating and if over applied, can fail prematurely. This is actually not the stains fault. Your prep in the Spring may have contributed to the problem as well. Would only staining one side would be bad? What’s the most natural color for the 1500 series? Is there a link to any pics? Thanks! You are only supposed to stain the exposed wood. Honeytone is the lightest tint. Check out the TWP site for pics. My husband just built a pine deck in June and we live in Michigan, can you please tell us which TWP is best to use the 100 or 1500 and how long should we wait with pine before we use the product? I need to back prime my cedar siding which absorbs moisture from the rear side and pushes off the primer and paint or opaque stain. What is the best product for back priming in this situation? TWP is not a primer and will not work. No deck stain can be used as a primer. Not sure what would be your best option here as we do not work with primers. The difference in color is based on the wood age. Older wood is much more absorbent. Adding another coat should help some but it will still be slightly different. Will TWP 1500 work on western red cedar siding ? Yes. Works great on cedar siding. Hi. My covered porch is made of mahogany. The old finish was peeling up in spots and was worn away in the high traffic areas. The wood is faded here. Do you think the wood will come back in these areas and what is the recommended finish. Thanks! REmove all of the previous coatings and then use 1 coat of TWP 1516 Rustic. It will look great. Redo every year for Mahogany wood. 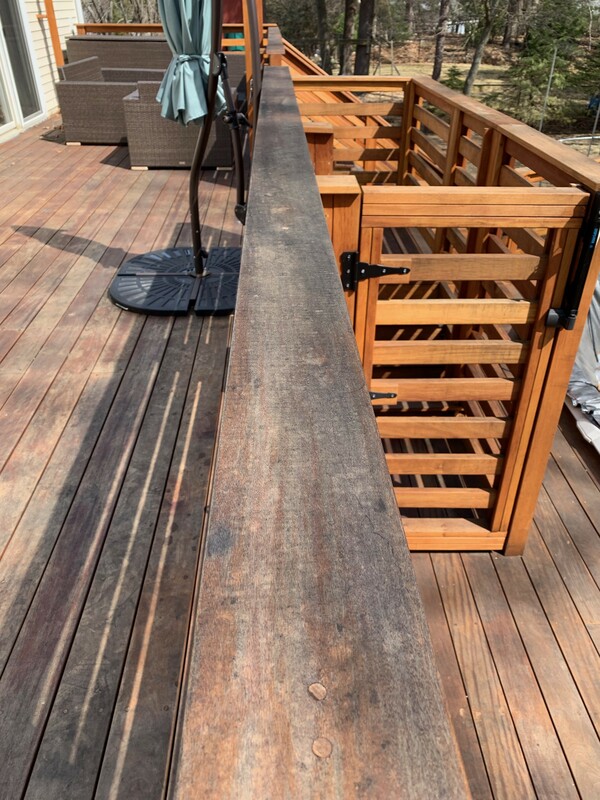 We Need Help…we have a cedar deck…23 years old. we live in Michigan. It has been stained over the years with a semi-solid stain and now we stain with a solid stain. We have always used a Behr product and recently (when we replaced some of the boards, the stain has been bubbling and peeling. 3-4 years ago we had some boards replaced that were rotting we let the new boards weather a year then used a deck prep product before reapplying new stain. All the the new deck boards peeled. The next year we sanded them and reapplied….same issue…the boards peeled. Almost all of the older boards retained the stain. We have a new round of new boards and want to know what to do. Should we restain the whole deck again? or just the new peeling boards? Let the new boards weather again? It didn’t seem to make a difference. The stain is coming off in strips. Please recommend! The only way to fix this is to sand all off, 100% of the current stain so you are left with bare wood. Once this is done, lightly wash with a deck cleaner and then use a penetrating wood stain like the TWP. Would you think I should consider the 200 series? The 200 is mainly used for shakes and shingle siding and roofs. It can be used on a deck but takes longer to dry and cure. Up to a week. Once dry, it works great but not any better than the 1500. May I ask. What is the top of the line TWP line? The 1500 I’m assuming for cedar deck? TWP does not have a best stain between the 100, 1500, and 200 Series. Mainly the difference is VOC compliance for certain states. Hey should I just had a new 20k cedar deck done at home. I want to stain and protect it and was thinking of TWP 1500. Would this be the right choice for durability and appearance? Should I wait before I apply it? I have a old deck on a summer home in the mountains of North Carolina that has never been stained. I am going to pressure wash. Will the TWP be suitable to use? Also can I get samples of the stain? Check with the TWPStain.com website for samples. The TWP 1500 would be a good choice for this older deck. Strip and brighten for the prep with the Restore A Deck Products. Installed new pressure treated dock decking last September and ready to stain/seal. On Chesapeake Bay- should I use the 100 series TWP or the 1500? For your area, you will need the TWP 1500 Series. Make sure to prep correctly. Either series will work well. Let me start by saying that I really like TWP. It repels moisture like no other. Even when it’s worn and the color is almost gone, it still repels water. But just know that TWP has a learning curve. The first time I used it on my new deck I was ecstatic. It was gorgeous! HOWEVER, it was shiny. I was sure that I didn’t let any stain pool…but I was wrong. The shiny spots were a result of the pooling, AND the spots eventually peeled. However, it didn’t affect the water-proofing. I just used Restore-a-Deck stripper and brightener, (both great products) and set out on my next TWP adventure. We used brushes to apply the stain. AGAIN, we were CERTAIN we didn’t leave any pools of stain left on the planks. However, the next morning we saw shiny spots. Realizing that wood absorbs oil at different rates, we donned our throw-away socks and wiped every single plank. The deck is awesome. THAT’S THE TRICK! Apply the stain, wipe the excess, and move onto the next plank. You’ll love TWP. You can’t find a better water repellent. I live in Colorado and the UV rays are crazy, but even though the color fades, you still have total protection from the elements. 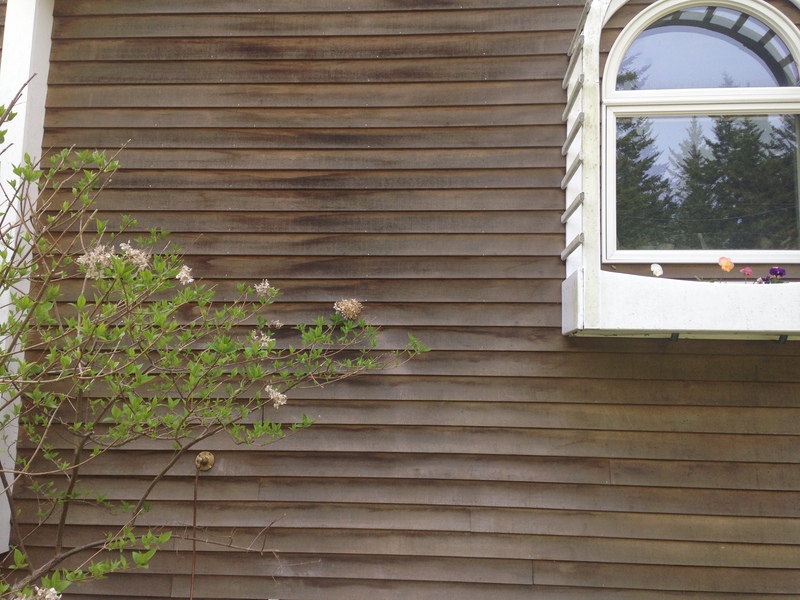 Which semi-transparent stain is better for Port Orford Cedar TWP 100 or TWP 1500 ? Depends on where you live and if the wood is new or older. The deck is new built 4 days ago ! I live in Oregon – on the Coast ! You cannot stain right away. TWP wants 4-12 months of weathering. After the weathering you will need to clean and brighten for prep. Use the 100 Series. First two are under deck, third is sw exposure. Maine. Tried to send as reply, don’t think it went through. You should strip and brighten all wood for the prep. It will remove the old stain and the mildew. I bought a 2005 cedar sided house that has weathered considerably with varying exposures. One section, under a deck, has no sun exposure and is black with exterior mold. What do you recommend for restoration? Should I use the same for the areas that receive lots of sun? As far as I can tell, there was no stain or sealer applied when built. I sent the pictures a couple hours ago, did you get them? We had a rough sawn cedar pergola put in 9 months ago, so it should be aged enough for staining. What prep do you think we’d need, and do you think TWP 1500 Natural or Cedar Tone would look more natural? Clean and brigthen with the Gemini Restore A Deck Kit. Honeytone is the lightest tint. I have a one year old red cedar deck which I stained with TWP 1520 stain 2 coats at installation. I live in Connecticut. It’s still looking pretty good this spring after the winter and water is still beading up on it pretty well but some parts look a bit dried out. I’m wondering if it’s best to wash and put another coat on this spring or if it should be ok until fall or next spring and if washing now what cleaner to use. No mold apparent at this point. Thanks. Leave as is and do a full restoration next Spring. Full restoration meaning strip and brighten or Clean and brighten since its TWP? Clean and brighten then reapply same color and series. Would we use 2 coats for a 7 month old pressure treaded pine / or we just use one coat of TWP1500? I have a 3100 PSI pressure washer. Will a 45 degree nozzle kept at 12 inches reduce the pressure to a safe level? I am also interested in your opinion regarding whether not using the prep kit is enough to prep a previously stained deck? 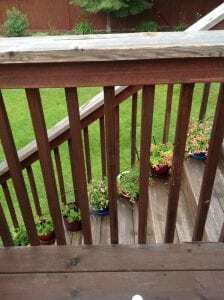 The deck was stained 2-3 years ago using TWP100 series stain. The deck has a northern exposure and is partially covered by an awning. 8-12 inches is good. If using the same color you should be fine with the prep. We currently have Arbor Coat translucent oil based stain on our porches and dock. They are black with mildew all over. We would like to redo with TWP 1500 based on the ratings and reviews. How should we prep the areas? The Arbor Coat will need to be sanded to remove it. After that sanding, clean and brighten for prep. Hi. Iv just bought a static caravan with decking its cedar red iv stained it but it doesn’t last long on the main walkways what can I use . Sorry I do not understand your question. Please post a picture as well. I have a 25 year old PT pine deck in the Deep South that I am in the process of restoring. Whether I use the 100 or 1500 series, will the Clear version have the same staying power as the ones with more pigments in them? Any recommendations regarding 100 v. 1500? Thanks! Clear does not offer UV protection from natural graying. You must have a tint in the stain for this to occur. Either Series works well. 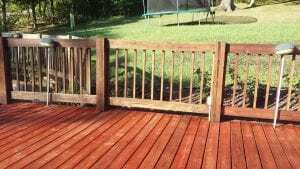 Do any of the deck stains you recommend make a white color stain? We have year old pressure treated pine tables and benches that we are ready to stain, but I was wanting almost a white-wash look. I found a few white color options with Behr stain, but after reading reviews decided that was not the route we wanted to go. I didn’t see any white options with the TWP stain or the Armstrong Clark, but hoped I was just missing something. If they don’t have a white color stain, do you have any recommendations of where to look? Thanks so much! No semi-transparent stain for decks come in white. Only way to achieve this is with a solid color deck stain. Do you have a brand you would recommend? When using a solid color deck stain, we lean towards the Flood Solid Color stains. Good afternoon – just ordered a 5g bucket of TWP 1500 (1501 cedar) to put down on my new treated pine deck that was built 6 months ago and has cured up nicely here in Raleigh NC. Plan to spot clean the deck, then put one healthy coat down now and follow up with another in a year. Am I on the right track? Thanks! Clean and brighten for the prep. Use their Gemini Restore Kit. Just one coat now. Thanks! Stain went down Thursday and looks great. Agree that wiping up excess is essential. I have an older log home that has been stained before with a semitransparent stain. I am not sure what brand of stain it is. It needs to be re-stained, I have some weathered spots and have to replace some boards on the gable. 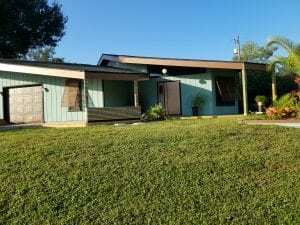 I have cleaned and power washed the house. Going back with approximately the same color. What stain will give me the best coverage to cover up the weathered areas and also blend in the new boards. You have to strip off all the current stain when switching brands to your new coating will properly work and soak into the wood. You cannot just apply over top and assume the new coating will work. Once removed, the TWP 1500 would work very well. I found out that the stain on there now is CWF-UVS cedar tone. Will the twp go over that or is there something better? You cannot apply TWP or any other semi-transparent stain brand over the CWF. It must be removed first. used TwP 1500 FOR THREE SEASONS, AND IT FAILED EVERY TIME USED THEIR CLEANING AND NEUTRALIZING KIT EACH TIME .lOOKED GOOD FOR A FEW MONTHS AND THEN STARTED TURNING GRAY AND BLACK. WOULD NOY RECOMMEND. Which of these productshas fewer health risks during the application process? TWP-1500 vs Amstrong-Clark semitransparent cedar? Do TWP 1500 Series stains waterproof as wel as stain fences? Yes but not in the traditional sense of water beading. The stain needs to breathe or not be 100% sealing the wood. It more or less sheds water. 5 year old pressure treated pine deck with high humid SC afternoon sun previously stained w/ SW deckscape water based semi-transp. Neutral tan color. Would it be better to re stain with oil based for durability/appearance? What kind would you recommend? does the the slightly tinted water based stain require stripping? If so before or after the cleaning powerwashing? You will need to prep by removing the SW first. Strip off what you can and if needed, sand the rest. Brighten all the wood after the prep. You do not need to clean if you are stripping. You will pressure wash after applying the stripper. As for the stain, try the TWP 1500 after the prep is completed. My redwood deck is 18 months old with no treating. It’s been prepped for twp with pressure washing and sanding but no brightener. How essential is the brightening treatment or is that purely an aesthetic choice? Helps the wood stain to soak in deeper when you use a brightener. I have a 34 yr. pan-abode cabin (6″ manufactured log) about 5 miles from the ocean in Canada. The Sikkens product has faded badly on the south a west surfaces and the caulking is cracked and dried up. I am about to wire brush or corn blasting the wood clean of stain and remove the caulking before applying TWP 1500 wood preservative. Do I need to do anything more before applying your product…?? Is the caulking done before or after I stain..? This is a very foggy location so do I need to it apply in clear skies with a limited humidity on a cloudy day? The TWP 1500 is not allowed in Canada. Just an FYI. Make sure to strip or remove all of the sikkens. Caulk first. We’re installing a meranti / mahogany deck. I’m leaning towards the 1500 and we want to go with a brown. Anyone know if Dark Oak (1503) would be too dark in this application? Also, what prep should be done to the new decking before application? You cannot stain new wood right away with TWP. They want 4-12 months of weathering first. Prep with their Gemini Restore Kit. As for color, I would suggest a sample from their site for testing. I need to stain all sides of my decking, including the bottom before installation. Are any of these highly rated oil stains able to be applied to new wood prior to installation? No. Almost all high-quality stains say to not stain all sides and to let the wood weather and be prepped before staining. There really is no reason to stain all sides and no advantage either. I have a 20 year old PT deck, that was not coated. It has been power washed over time, not recently though. What shoul I do to surface? Prep with a deck cleaner and pressure washing. Brighten the wood after. Stain with the TWP 1500. How long should I wait to apply the TWP 1500 series product to a new deck built with pressure treated wood? So, I live in Seattle area and am just now (September) getting my deck cleaned and stripped. I am going to use TWP 1500 BUT I’m concerned about impending rain. Should I put on 1 coat instead of 2 to protect somewhat through fall, winter, and spring rains and do another cleaning and 2 coats in early summer? I fear the deck won’t have time to dry thoroughly before staining and/or the forecasted “sprinkles” will interfere with a good cure of the stain. If you only want to do the one coat now, you will only need one coat in the Spring. Doing one or two coats now will not make a difference with potential rain issues. No need to sand. Prep with their Gemini Resote Kit and pressure washing. I have just sanded my deck after a bad experience with a clearance stain from home depot. Barely lasted 6 months. Deck is about 3 years old now. I will be ordering the TwP 1500 with the cleaner and brightener. My wife hates any yellow tone and wants it as natural as possible. We were thinking the Natural color with TWP. Do you think this is a good choice or should we go with a cedar tone? I like the look of your deck in the photo but my wife almost would prefer a clear coat like Thompson’s so the wear and tear isn’t as noticeable compared to the darker colors. Natural has a yellow/orangy tint. Might want to try some samples from their website. Clear with no pigment will mean it has zero UV protection from graying. You must have color in the stain to prolong the graying. Which light color do you think would have the least orangey tone in it? Colors will vary as well based on your wood type and age of the wood so there is no way to assume a color will not be orange. Honeytone is more of a golden color.